Imagine indeed, that such a picture below is an approximate of how our Milky Way Galaxy would appear to the distant observer. I was a little perturbed by how scientists themself assuming 5% of the world population would think that such congregations must be "held to themself" and their "sphere of communications." These communications are based on what 20% of the world population currently sees in Internet communications worldwide, would relegate "this figure of 5%" much narrower, to a figure allotted to "internet viability and population reached by those are really see less then 5%." This will change as the Internet viability and population increase. An expanding market then sought by Magazines to take on board "Blogging groups?" So, your of this group who sought to sell themself to Discovery Magazine, and forfeit(?) all posts and topics as an article of some extrapolation from the ARxiv to the "select only," the few? What was achieved then by the lone scientist, when he sought to exemplify his work on the http://arxiv.org and by chance of discussion sell all their days pondering as work of the future to a magazine? If you open with a question(?) with something that is very public, you have to consider what market you are extending yourself too, by thinking to ignore public contribution under the guise of this Magazine's presentation of authors. A forum? A Job possibly? Money to allow them the comforts of spreading good cheer amongst the populations? Imagine, if the population was ever to see "this advance" of bought scientists to mine only what it shall transpire for "new information" for that magazine, by only the inclusion of their trade associates. "Shall you as scientists resist then" such a corporate takeover, and exemplify yourself to denouncing such a corporate structure limited to communications away from the public? George Musser while scouring the archives and forums for his stories at least sought to contribute to the stories as they unfolded for the public through magazine subscription, then to "mine by incentive, a detach impetus for "new information" about what the stars are made up of. What remnants are left to insight the reader, to think that gravity was formed by evidence of some relics and only held in the scientists mind? What's on the Condense Matter Theorist's Mind? 1. Having four equal sides and four right angles; square. 2. Marked by firm, unwavering conviction or expression; forthright: a foursquare refusal to yield. I thought to define the nature of foursquare by definition. It was not very easy to find such a definition as to what was thought in my mind a relation to the ancient notion I have of earth. Definitively expressed, and coordinated into a frame. To see such a relation to the operation of the "endocrinology of the human body" in such a form would be to steer the modern day notion of such a framework, to deal with what Antonio Dammasio might have call a "powerful metaphor for consciousness, for the birth of the knowing mind."1." A stepping onto the stage under the light, or "being born" into the world. Such use of nature would not be unseen in this relation to think "the leaf" has this quality about it in relation to the sun, or the bee, can have such an affect on those around them by such releases of the hormone. The work was written for the use of students and the general public, in Latin in 19 books at the school of Magdeburg in Saxonia. A number of copies exist both in manuscript and in printed form. Bartholomew carefully notes the sources for the material included, although, at present, it is sometimes impossible to identify or locate some of them. His annotations give a good idea of the wide variety of works available to a medieval scholar. 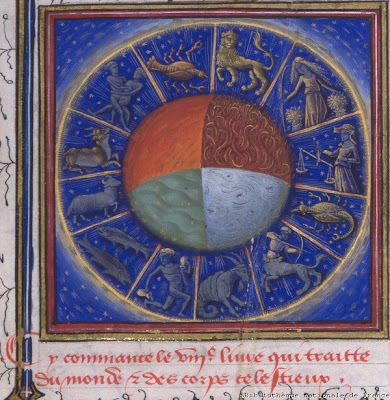 The subjects of the books, in order, are God, angels (including demons), the human mind or soul, physiology, of ages (family and domestic life), medicine, the universe and celestial bodies, time, form and matter (elements), air and its forms, water and its forms, earth and its forms including geography, gems, minerals and metals, animals, and color, odor, taste and liquids. While I cannot say I have ever read these manuscripts, it was insightful that one could see the preceding idea here about "all knowledge" that one might contain in book form to explain the nature of reality as it was known at that time, became the forerunner of Encyclopedia as we know it today. Some of the ideas I have about this come from my many journeys into books I have read over the years. Some of us are indeed nostalgic about what we can hold in our hands versus the newer technologies that have supplanted the book. How it connects us to it's subject and it's author. Change, is hard thing to overcome when it comes to adapting to new technology and how we have always done things. But as the "ole dinosaurs of comfort" and the less likely to adapt to new circumstance, the challenge is then to see how the world in Wikipedia and the Librarian sought to reference information that we assume now quite easily, as we reference by linking, and using the source as information. It is strange as well that while setting the framework for presenting these ideas I have develop and encountered, helped to set my mind on how I see the world. How it is "shaped" by "very simple identifications" to such objects that I have assigned a reality, according to that schematic embedded as a geometry mind mapped and expressed. It is so diverse the subject of the human being that to identify all the abilities of the human being in such an expression is beyond the scope and intention of this entry, that regardless, I thought to reveal what it is in the most "innate of us" as we express ourselves in our daily encounters. This is a definitive expression then of all the likely avenues one might take and this leads one to think a certain way and this in itself forms the basis of exchange with the world around us and the people we are involved in. Our empathetic relation based on formative ideas about our experiences and the emotive content that has been injected into the matter defined world as a set process for the mind and it's ultimate realization of what consciousness plays, as we set firm this relation. You can be from another country and philosophy as being instrumental in this explanation, by be explicative of the way you lived, and the way the world was experienced around you. Thus to such an experience may be set to mind that such formation of these matters might be define in by the weight with which we assign density in the form of elemental relation in thought and how firm this definition is in relation to such mind matters. So with such inclination to the possibility of what consciousness can become what value then to see that such mater defined in mind might play an importance in the way we see the world and the way the world responds, to such a "spirit of kind" that it be "more gross in it's manifestation" and held to the evolutionary aspects of the body formed, that it could ever be more then what we might think it really is? Shall we have no hope then that the spirit is of kind in consciousness nothing more then the animal , that one sought to express the spirit more in conscious, then that we thought so gross? That such an ability in consciousness can ever see such changes that the earth formed can not have it's finer elements to say, that the world is defined by the nature of these elementals, and nothing more? 1The Feeling of what Happens, by Antonio Damasio, Chapter one. Just wanted to extend this wish to all those that visit. What a false illusion thou art to human mind ! How cruelly thou deceivest thy possessor and those who covet thee ! Thou buyest for me by thy betrayal of mankind. Thou didst tax my energy to gain thee, and thy discount has lost to me and my fellow-men the greatest blessings of a continent, as well as the principal products of our toil. Few indeed are they who know and understand thy seductive power. We shall expose thy falseness so that our children shalt not be deceived by thee. What has been transpiring in the economy as of late is a wonderful exercise for me. When you see the credibility of scientists and an economist open themselves to scrutiny "to wonder", if they are just replaying the inevitable and not really offering anything new? The market prices of commodities vary from day to day and often several times a day. This occurs when there is no radical difference in the proportion of the supply and the natural demand. This fact is conclusive proof that our system is controlled by manipulators and fundamentally wrong. I have sought to elucidate this problem within this volume and have suggested a plan which, if adopted, would make the people the master of the world, instead of the present master—THE MONEY TRUST. I am repeating the article the article here for consideration. 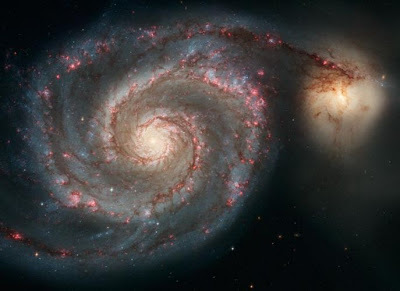 Is it more astonishing that a God created all that exists in six days, or that the natural processes of the creative universe have yielded galaxies, chemistry, life, agency, meaning, value, consciousness, culture without a Creator. In my mind and heart, the overwhelming answer is that the truth as best we know it, that all arose with no Creator agent, all on its wondrous own, is so awesome and stunning that it is God enough for me and I hope much of humankind. 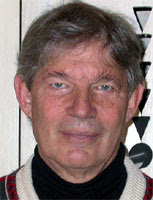 Stuart Alan Kauffman (28 September 1939) is an US American theoretical biologist and complex systems researcher concerning the origin of life on Earth. 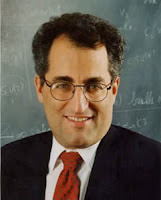 He is best known for arguing that the complexity of biological systems and organisms might result as much from self-organization and far-from-equilibrium dynamics as from Darwinian natural selection, as well as for proposing the first models of Boolean networks. Kauffman presently holds a joint appointment at the University of Calgary in Biological Sciences and in Physics and Astronomy, and is an Adjunct Professor in the Department of Philosophy. He is also an iCORE (Informatics Research Circle of Excellence)  chair and the director of the Institute for Biocomplexity and Informatics. Well now, I have followed the work of those whose ultimate destination has been by seeking results from LHC as to the nature of some Higg's field that would bring together an organizational effort to the particle of nature. Now I should be much clearer here just as Stuart Kauffman should. A Higgs field (named after a Scottish physicist Peter Higgs) is a field supposed to be responsible for the genesis of inertial mass (and, because of Einstein's equivalence principle, gravitational mass). When the universe is extremely hot, a Higgs field (which is supposed to have a certain curve of potential energy; as regards the shape of this curve, there is no unique consensus, except for a certain general feature, among the physicists) exerts a wild influence; but we will neglect this here. Once the universe cools down enough, below a certain temerature, the Higgs field assumes a certain value (i.e. a value of the Higgs field) which corresponds to the lowest energy level (i.e. the potential energy is zero, but the value of the Higgs field is nonzero; this level may be called vacuum). And this energy level continues to prevail throughout the whole universe (uniform, nonzero Higgs field). So here I am alone thinking about this self organization that goes on and I picked out Stuart Kauffman's book because I know that such a view is garnered by the likes of Lee Smolin, that it presents a challenge for me. Been at it long enough to know there are opposing views and methods to determination that shall judge one's approach as too the "nature of reality." I am not going to go into the definition of this nature of reality but to assume that such a definition will become apparent in the selection of this title and the consequence of choosing Stuart's book. My reasons for expanding here under this title of the new Garden of Eden. How it it that I could ever compare the very nature of the "Arch Model" to the insightful development of us as participants in the nature of reality that we could shape our destines and not think us less then a participant in this adventure called life. Experimentally, this became a basis for exploration which implanted experimental choice departures from euclidean space, which is flat. This was a mathematical adventure of "pure thought" toward the process of interpreting this mathematics in the natural world. How could one say the experimental process was first when such thought had to exist? It had to already exist in nature for us to test the theorization by definition. So we emulate the process by experimentation. Oh sweet "spooky action at a distance?" One should not think that such an avenue of research had not taken me down this road in regards to spooky, that I would not have adventured too, entanglement, or scattering amplitudes, that I would not of looked at Young's experiment and thought about the photon's travel. The combination or how calorimeters have been used to discern this interaction in the decay process. Has Reductionism run to it's limit? This is what Stuart Kauffman did not realize when thinking about reductionism or what Robert Laughlin spoke of toward the idea's of self organizational attributes of those things that gather, while we take them apart. It's not that they ever came to a definition of this limit, but tried to explain reductionism away, by the introduction of new ways, new approaches. ON one side of this arch is an approach to Reductionism, and on the other, is emergence. The keystone, is the Equivalence principal.